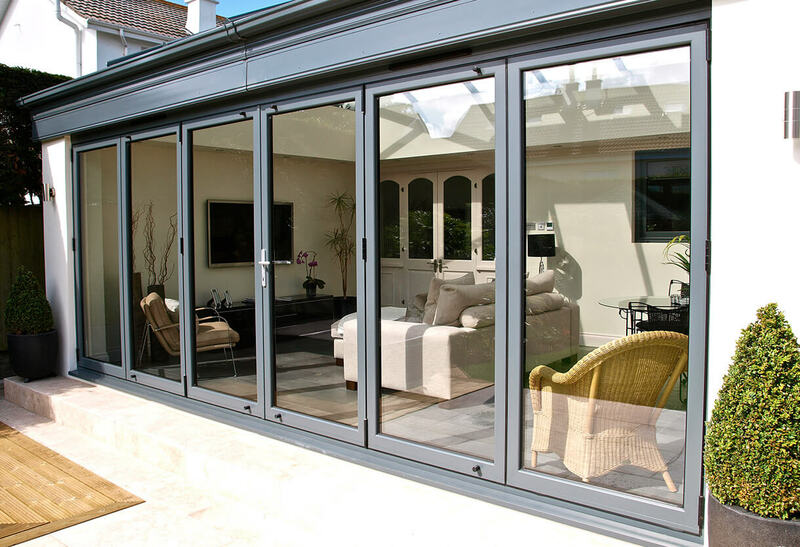 Ideal for those wanting to bring their home up to date with one of the most modern entrance solutions and really blur the line between the inside and outside spaces, our aluminium bifold doors are practical and sophisticated. 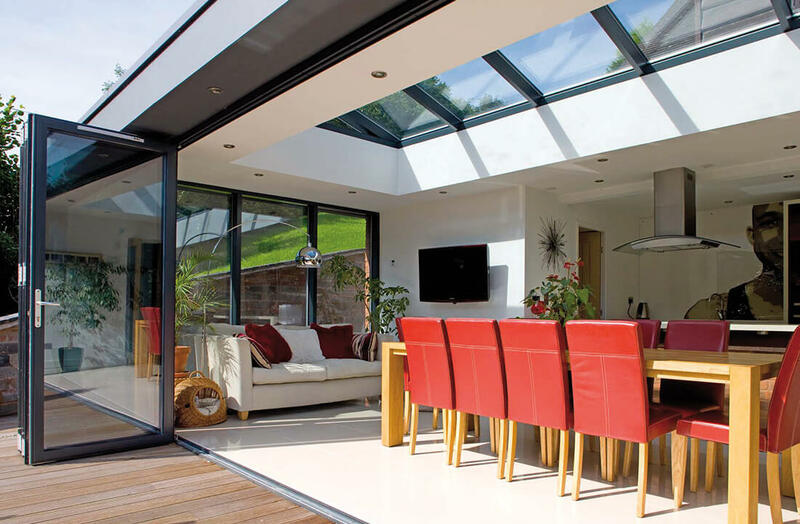 They essentially transform the back wall of your home into one of complete glass, all thanks to minimalist frames and slim sightlines which allows natural light to easily enter. Comprised of multiple panels, they neatly glide and fold alongside one another on a smooth track. We can fit bifold doors in any one of 36 different opening configurations with panel amount ranging between two and seven. Regardless of preference, however, impressive energy efficiency and thermal retention is guaranteed thanks to each panel making use of multiple chambers within the aluminium frame. Combined with double glazing, heat will have a tough time at escaping and your home will be kept comfortable. 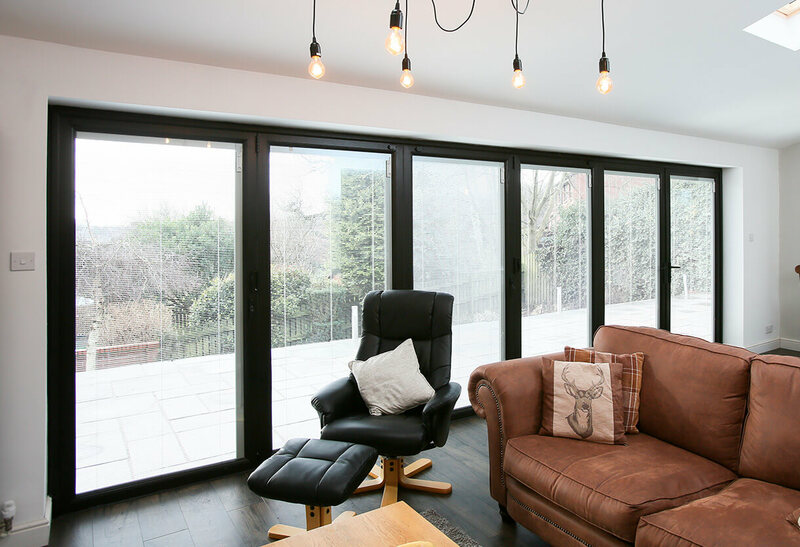 Bifold doors from Double Glazing Essex can accommodate multi-point locking to keep the rear of your home defended against intruder attack, but this safety is improved further because of how they operate. Anti-lift blocks prevent the sashes from being held up and compromised and fitted hinge bolts serve to lock the frames securely together when the doors are closed. 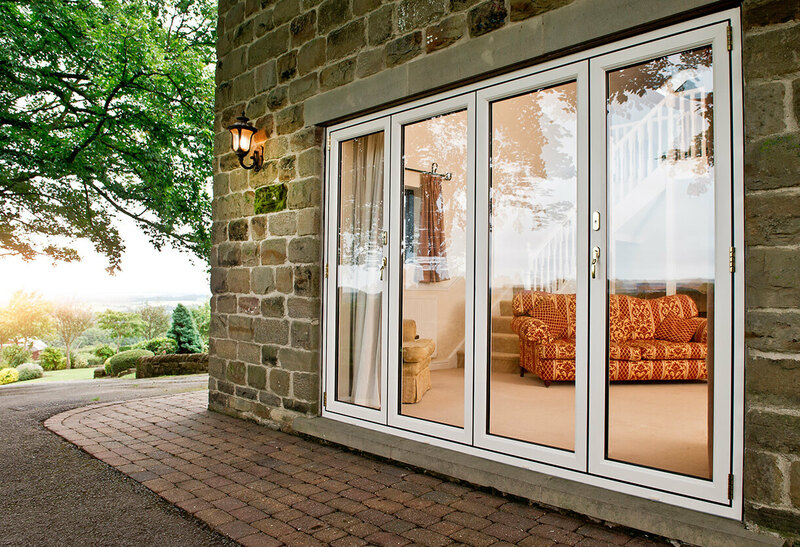 Double Glazing Essex Ltd’s complete collection of bifold doors feature the slimmest sightlines, making it easy for homeowners to let lashings of natural light flood and permeate the home. This also creates generous views of the outside before you step out, doubling up to give a true feel of open plan living. 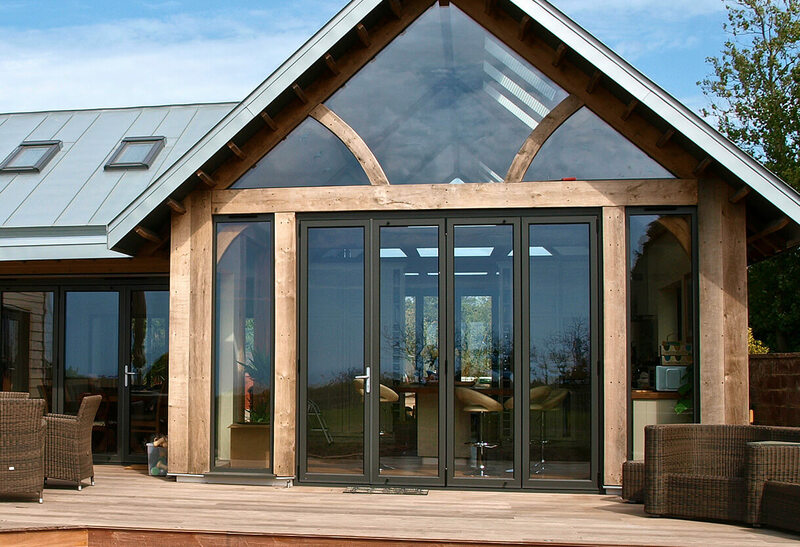 Once installed, your bifold doors will give the impression that your home extends further out into the garden. 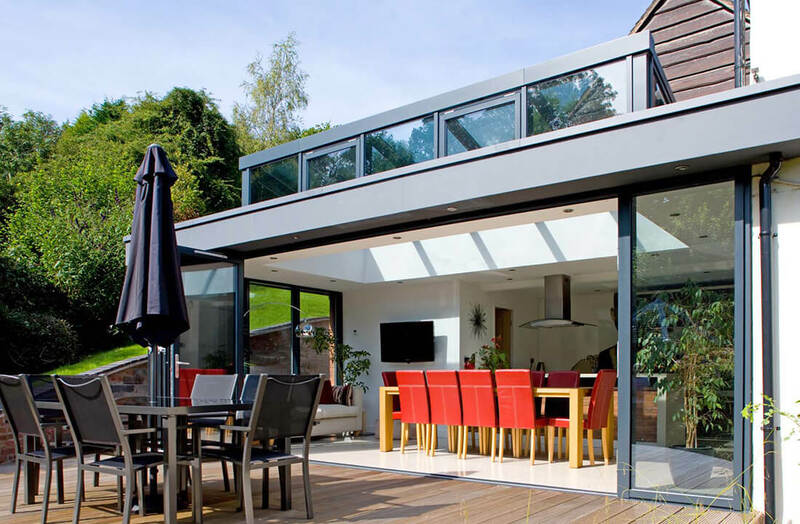 We can install bifold doors any panel configuration ranging from two and seven – it’s entirely dependent on the size of your aperture. Opening in or out, with left or right sliding options, each sash will safely and neatly fold in on another to any selected side, so you can always make the most of space when transitioning to the outside. 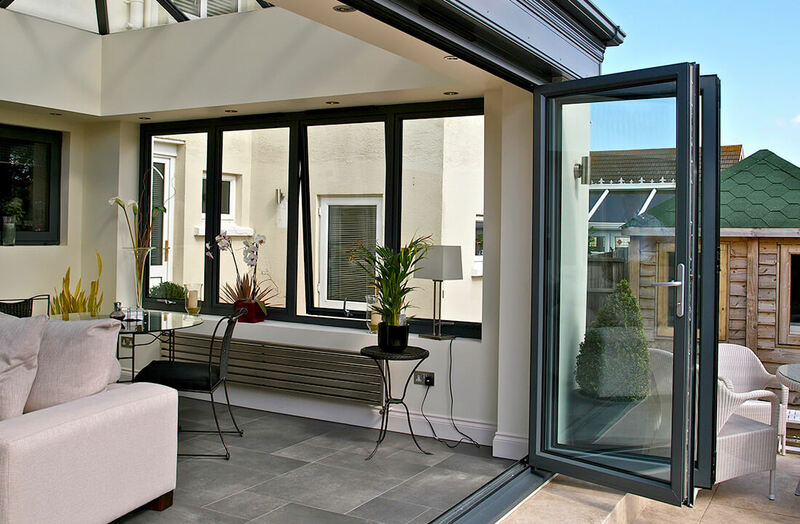 Bifold doors are becoming an increasingly popular feature within Essex homes, as well as commercial applications. These long-lasting doors make the perfect addition to minimalist-inspired interiors, with a seamless opening action that offers character like no other door system around. Popular colours for bifolding doors. *For an accurate representation please request a colour swatch.